Fast food workers prepare to march around a McDonalds restaurant, taking part in a massive one day fast food industry strike demanding higher wages in St. Louis on December 5, 2013. Allan Katz has a pretty good idea of what St. Louisans should expect when the debate over raising the minimum wage begins in earnest. Katz leads a Kansas City task force made up of business leaders and advocates of raising the minimum wage to $15 an hour. The former ambassador to Portugal is trying to keep discourse civil: In meetings, ground rules stipulate that people can't clap or present anything beyond a "fact-based" argument. 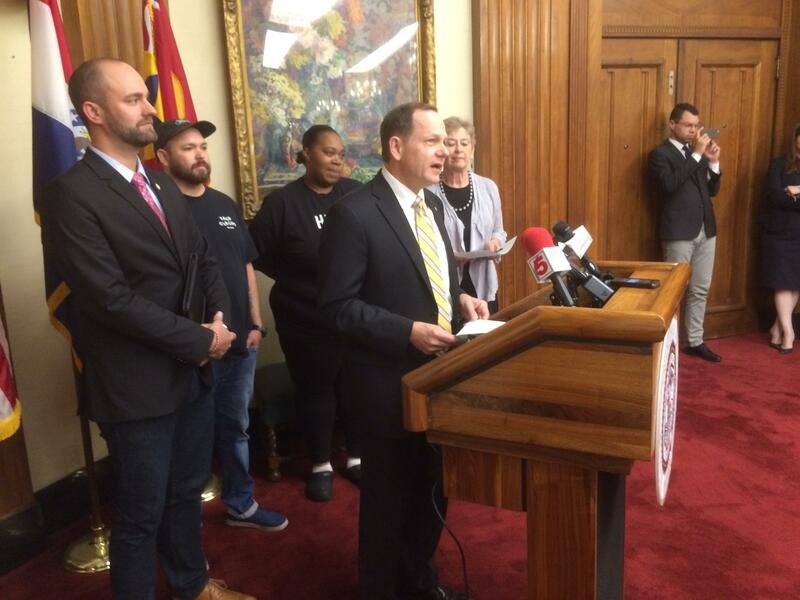 St. Louis Mayor Francis Slay wants to raise the city's minimum wage to $15 an hour by 2020. It’s unknown whether “reason" will prevail when the Board of Aldermen begins hearings on Alderman Shane Cohn’s minimum wage bill on Tuesday. That's because of the stark dividing line between advocates of an increase and some small businesses that say Cohn’s proposal would hurt their businesses. Beyond the policy debate is a less exciting – but perhaps equally important – legal fight. Are cities like St. Louis and Kansas City even authorized to raise the minimum wage – even if Gov. Jay Nixon signs a bill that appears to give the two municipalities a tight window for action? At least one state lawmaker is warning local policymakers of the negative consequences of a minimum wage increase. 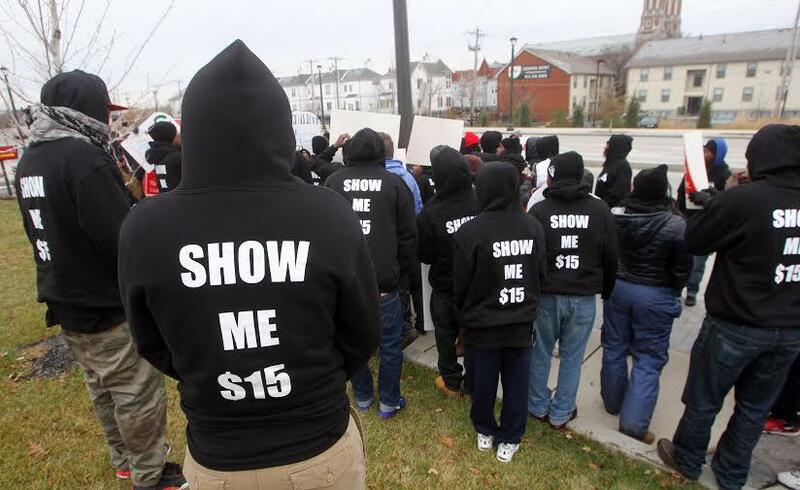 The municipal push is an offshoot of a broader, nationwide movement to raise the minimum wage. For several years, supporters have advocated raising the minimum wage to $15 an hour – saying that the current standard of $7.65 is too low. Because a pending state bill doesn't pre-empt local minimum wage laws passed before August 28, Board of Aldermen members may act fast on passing a minimum wage increase. While proponents of a minimum wage hike have held rallies throughout the state, not much has happened legislatively. The state didn’t have any competitive statewide elections in 2014, which may be why traditional Democratic funders – such as labor unions – put little money or effort into getting minimum wage increases on the ballot. And the heavily GOP Missouri General Assembly hasn’t been keen on the issue. That clause inspired both Kansas City Mayor Sly James and St. Louis Mayor Francis Slay to move forward with minimum wage proposals at a quick pace. Even though Nixon hasn’t signed HB 722 yet and many Democrats, including Slay, want a veto, it could provide the best legal avenue for the two cities to act. 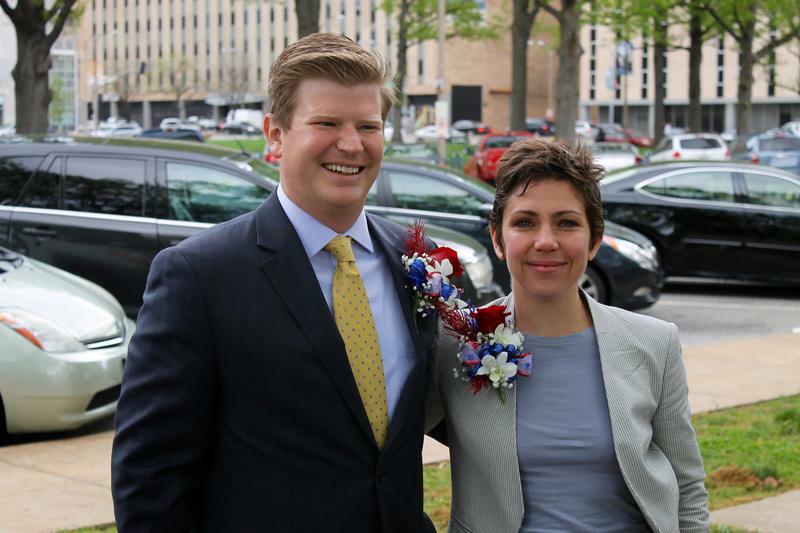 A Board of Aldermen committee will hear Cohn’s bill on Tuesday – and the full board could come to a final vote sometime in July or early August. Cohn’s bill would increase the city’s minimum wage to $10 an hour and boost the threshold gradually until it arrives at $15 an hour in 2020. It exempts businesses with 15 or fewer workers or make less than $500,000 in gross sales every year. The legislation could help out people like Latasha Chappel, a 33 year old who works at a Wendy’s in St. Louis. She said that $7.65 an hour is “not enough” to support herself and her three children. One person watching the minimum wage debate closely is Michael Meuser, the president of Pogue Label and Screen. Ald. Tom Villa, D-13th Ward, hasn't signed on as a co-sponsor to Ald. Shane Cohn's minimum wage bill. The measure has eight co-sponsors -- but will need at least 15 votes for passage. Meuser moved his 35-employee company in 2005 to St. Louis’ Patch neighborhood, a poor area a stone’s throw from the city-county line. He pays his workers more than the state’s minimum wage of $7.65 an hour and provides them with benefits. But Meuser foresees big problems if the city passes Cohn’s bill. 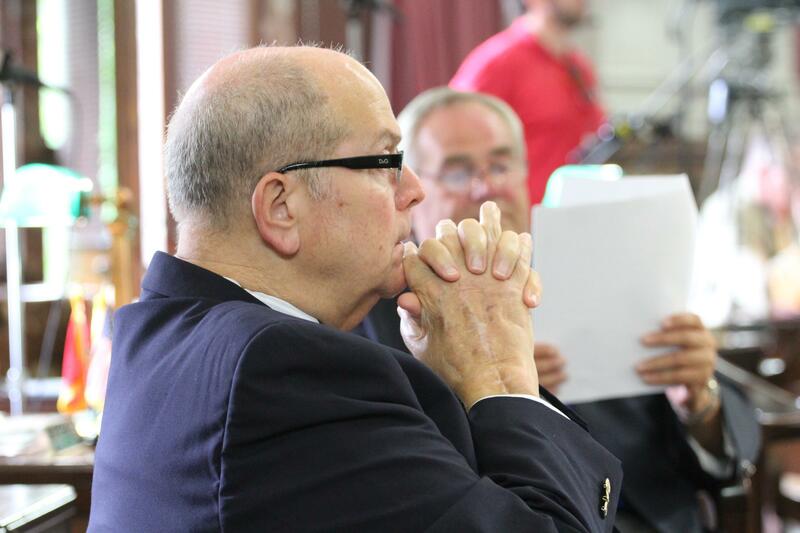 It’s possible that other aldermen are hearing from business owners like Meuser. While Cohn’s bill has eight co-sponsors, the legislation would need 15 votes to go to Slay's desk. Conspicuously absent as co-sponsors are aldermen representing portions of business-heavy central corridor -- including Aldermen Lyda Krewson, D-28th, Joe Roddy, D-17th Ward, Scott Oligive, D-24th Ward, and Jack Coatar, D-7th Ward. Green said some business owners may not know about the bill's gradual implementation and exemptions. 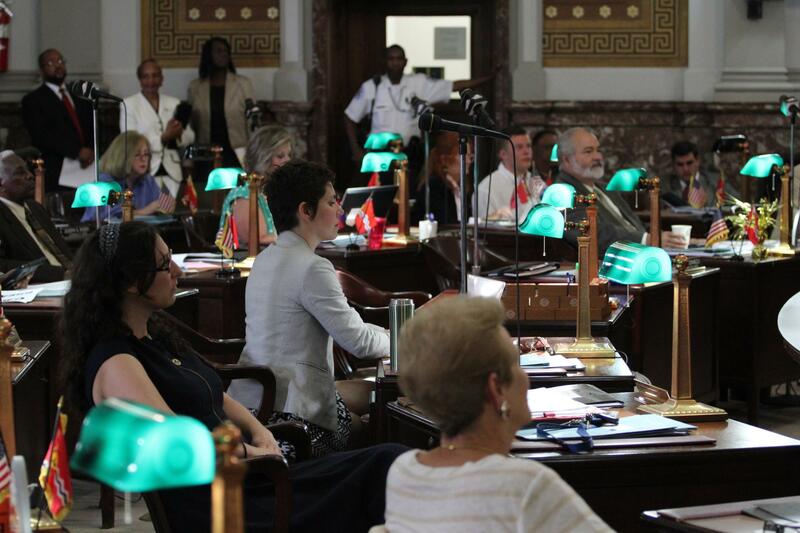 Alderwoman Cara Spencer, D-20th Ward, said St. Louis policymakers need to make sure business owners are part of the deliberation – similar to what’s going on in Kansas City with Katz’s task force. 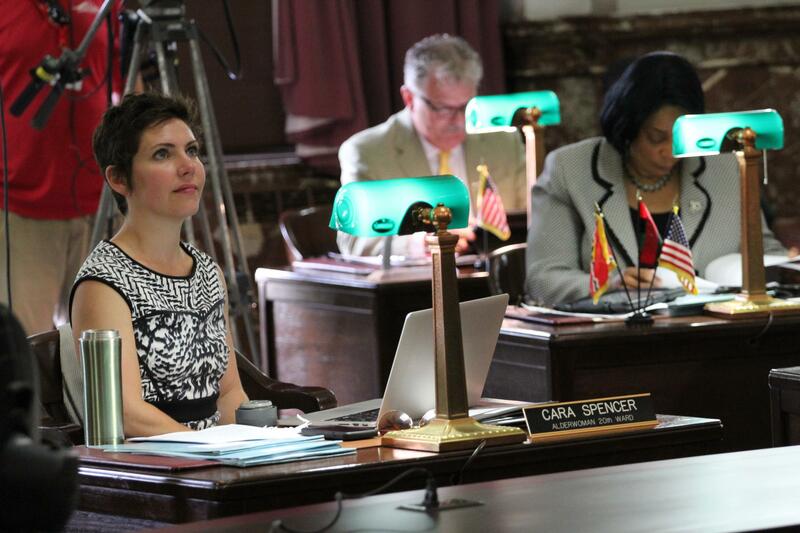 Alderwoman Cara Spencer, D-20th Ward, supports raising the city's minimum wage to $15 an hour by 2020. "It’s a vitally important issue to talk about raising wages so that grown adults can afford to support themselves," she said. For his part, Katz said both sides of the minimum wage debate shouldn’t write off their adversaries’ arguments. But even if some sort of consensus emerges at City Hall, there could be further blowback in Jefferson City. 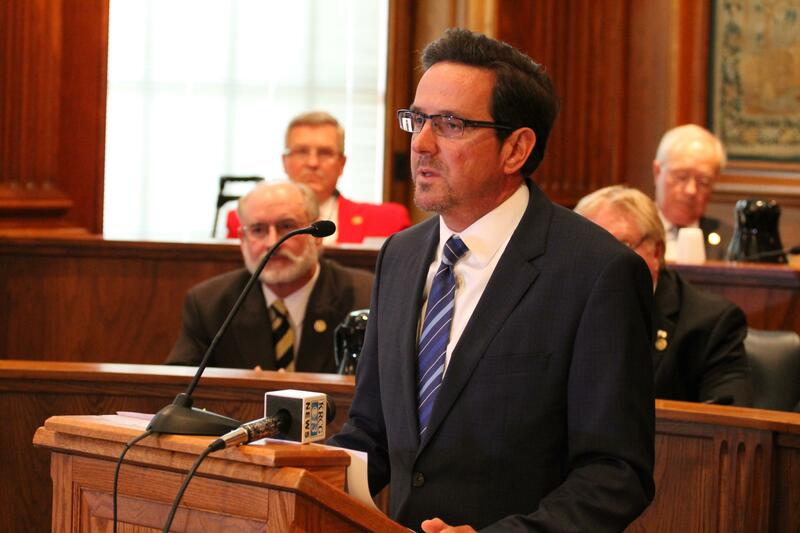 State Sen. Kurt Schaefer, R-Columbia, said there could be major state-based repercussions for St. Louis and Kansas City if they raise their minimum wages. Schaefer wrote to his colleagues last week that if Kansas City and St. Louis pass minimum wage increases, lawmakers should eliminate the cities’ 1 percent earnings tax. He said in an interview that "in order to move the economies of both St. Louis and Kansas City, we need to reevaluate their ability to have a third layer of income tax on productivity in those cities." "Slay’s own argument on why he wants to double the minimum wage supposedly is to put more money in people’s pockets," Schaefer said. "Well if that’s the case, that’s the best argument ever for eliminating the earnings tax. You let people, not only employers but employees, keep that 1 percent that’s currently taken out of their checks." Schaefer also said that Slay is pushing the increase now to distract attention from St. Louis' crime problems. "I think that St. Louis and Kansas City know that they don’t have the authority to do this," Schaefer said. "I think that they both have staggering crime problems right now. ... I think they have absolutely no answers whatsoever in how to deal with crime. And I think that all this discussion about minimum wage is a diversionary tactic." Schaefer’s comment refers to how St. Louis and Kansas City may not have the authority to pass minimum wage increases – even if Nixon signs HB 722 into law or the legislature overrides a veto. Other state laws, Schaefer said, would prevent a local minimum wage increase if HB 722 goes into effect. And he said the political leaders of St. Louis and Kansas City are wrong in their belief "there’s this deadline looming – and they can run and get under the wire before August 28." On Tuesday, St. Louis voters will head to the polls for the municipal primary election. Besides a spirited race for an open aldermanic seat encompassing most of downtown, several incumbent aldermen are facing particularly vibrant challenges. When all the ballots are counted by Tuesday night, the 28-person board could look different. In the marquee race, St. Louis Board of Aldermen President Lewis Reed is expected to coast to a victory over former Alderman Jimmie Matthews, a perennial candidate who’s vied unsuccessfully for various offices.